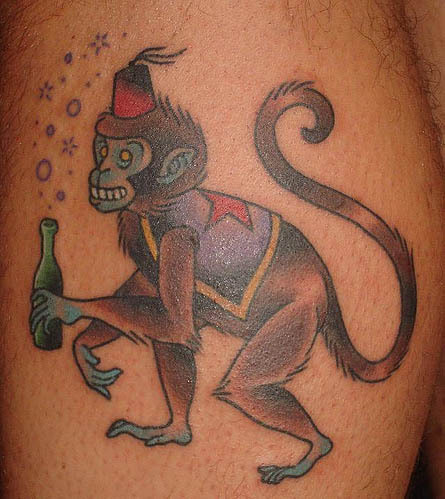 Monkeys are energetic and jovial creature. This mischievous creature has a special place in folklores and myths around the world. 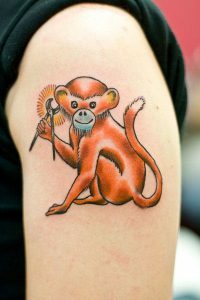 In Chinese zodiac, the Monkey is portrayed as multi-talented and super-quick, but has a disposition to be an opportunist. 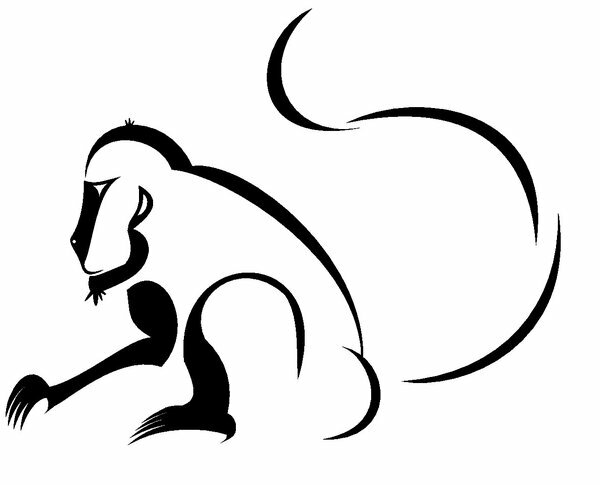 In ancient Japan, monkey was considered to be the messenger of the Gods. 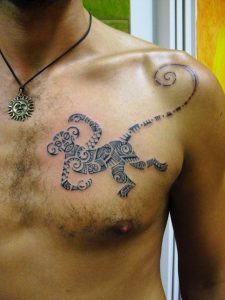 It was also seen as a protector against demons and evils. The Mayans glorified monkeys as a symbol of knowledge. People get monkey tattoos not just because of all these symbolisms associated with it, but just for the sake of their love for animals. 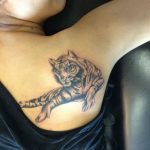 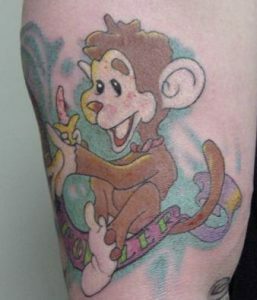 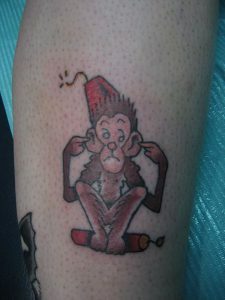 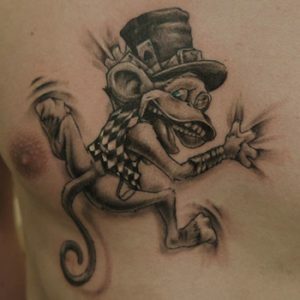 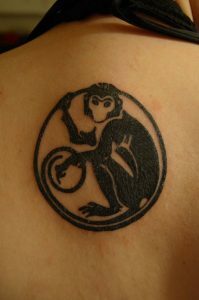 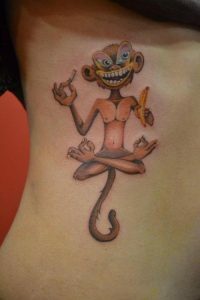 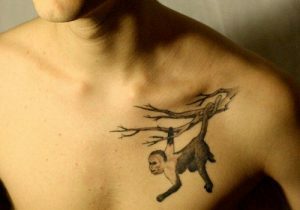 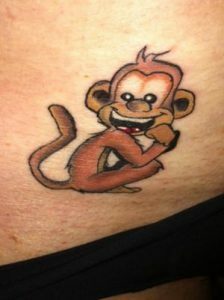 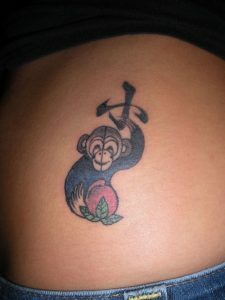 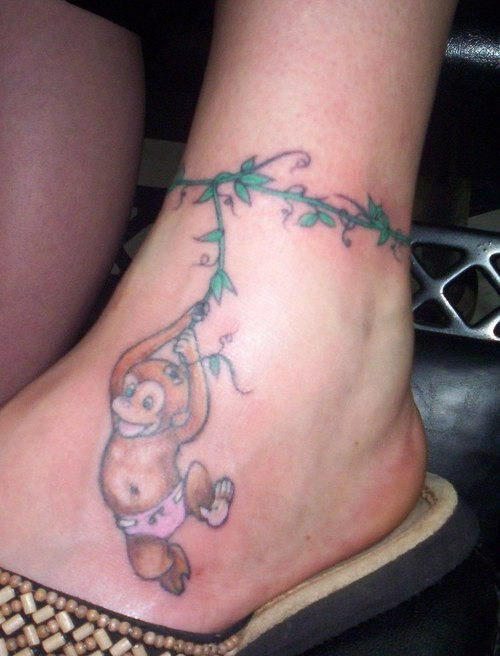 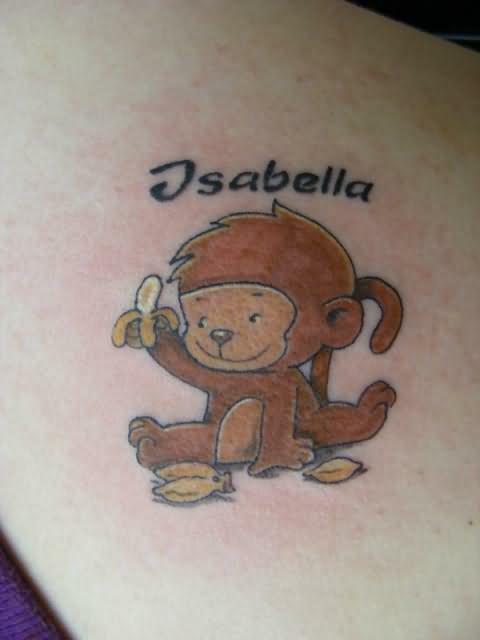 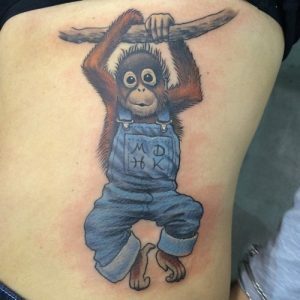 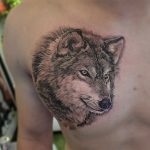 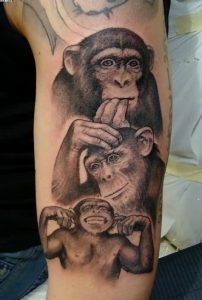 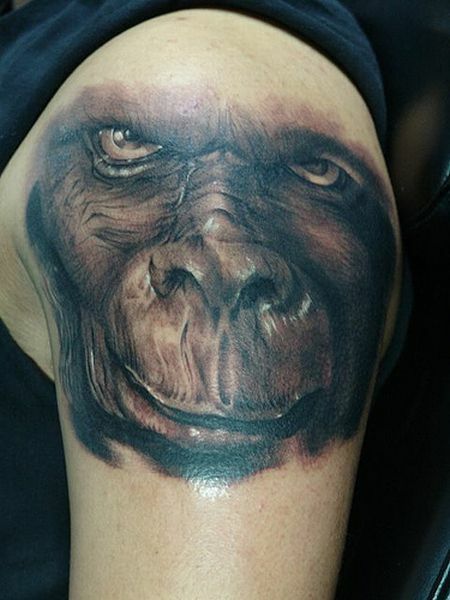 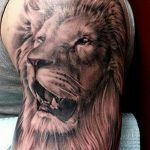 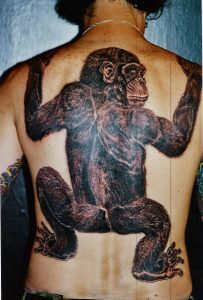 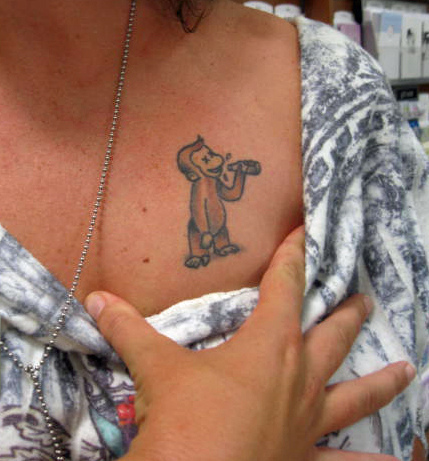 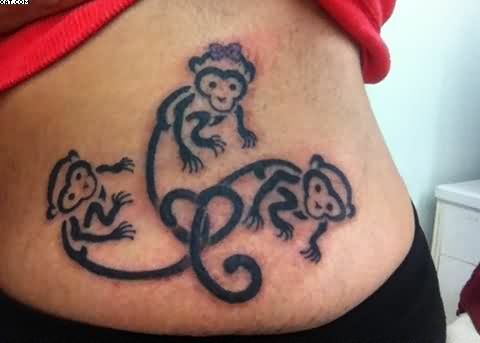 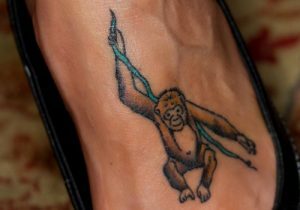 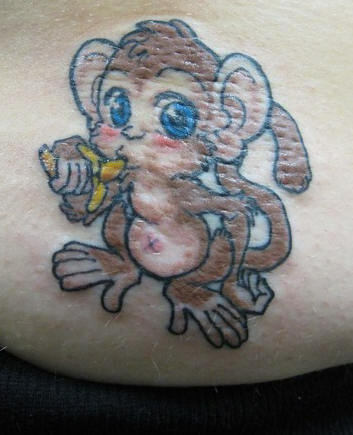 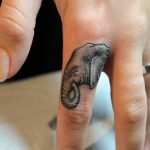 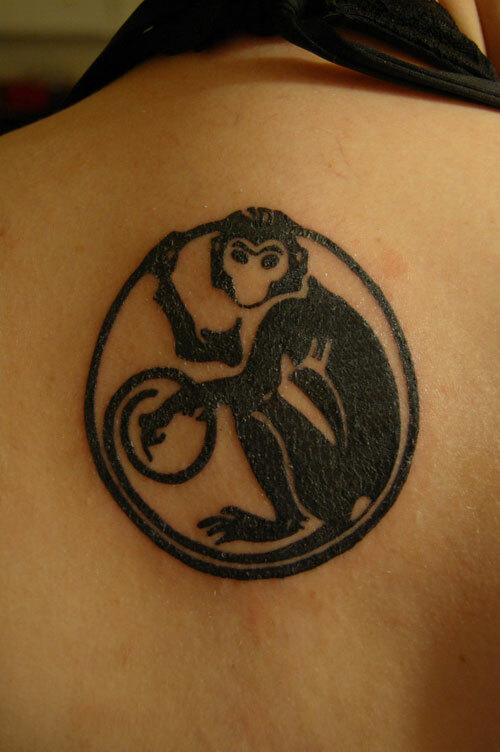 Take a look at the following pictures to get some ideas about monkey themed tattoos.